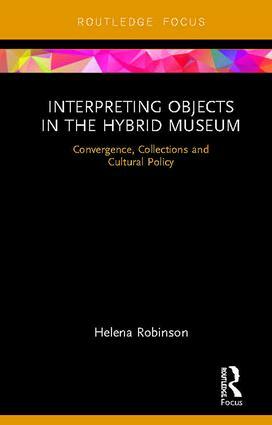 Interpreting Objects in the Hybrid Museum examines the recent trend for converged collecting institutions and uses its investigation as a catalyst for critical reflection by all stakeholders on the risks, as well as advantages, of integration for cultural engagement. Drawing on three case studies of restructured cultural organisations in Australia and New Zealand, Robinson provides valuable insights into the conceptual and practical ways in which hybridised collecting institutions operate. Reflecting on the ultimate value of converged institutions for the communities they serve, the book uncovers the dangers of misalignment between bureaucratic decision-making and the creation of cultural meaning. Actively contesting policy assumptions about the benefits of integrating museums with other kinds of cultural institutions, the book’s analysis of empirical evidence provides an important counterbalance by exposing the impacts of supposedly benign structural changes to museum organisations on fundamental processes of research, documentation and contextualisation of collections. Interpreting Objects in the Hybrid Museumhighlights the consequences of policy decisions on the distinctive interpretive role of museums. As such, the book should be of interest to a range of academic and professional audiences, including scholars and students in the fields of museum and heritage studies, library and archival science, cultural studies and politics. It should also be essential reading for cultural heritage practitioners working across the museum, heritage, library, archive and gallery sectors. Helena Robinson is a lecturer with the Museum and Heritage Studies program at the University of Sydney, Australia.